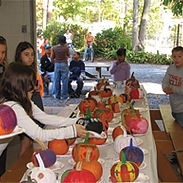 Holly Shores Camping Resort is a fun family-oriented resort in Southern New Jersey. The campground is open each year from mid-April through October 31st. Our resort has grown over the years and includes many upgrades and amenities. 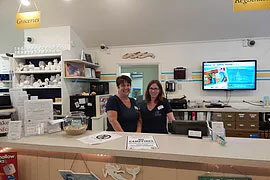 As an employer, Holly Shores offers competitive wages and is a fun place to work close to the Cape May and Wildwood beaches and boardwalks. We take pride in being voted Large Park of the Year by ARVC, Best Campground by CapeMay.com, the "Best Family Oriented Campground" by Frommer's Guide and Woodall's/Good Sam/Trailer Life. Benefits for teammates include Uniforms and Bonuses. Full-Time teammates are also eligible for 401-k, Personal Days and Paid Holidays. If you are interested in any of our job openings, please print out our employment application and either fax to the office at (609) 886-4042 or bring the application by the office. EMPLOYMENT APPLICATION. You may also email your application to jobs@hollyshores.com. Earn college credits and job experience in your field while working in a fun, friendly, fast-paced environment at the Jersey Shore! See positions marked with "INTERNSHIP". 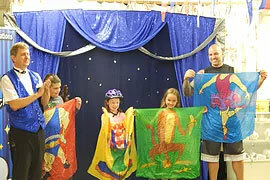 Our Activities Crew organizes and implements fun programs for our camping guests including arts & crafts, pool parties, hayrides, BBQ, fundraising events, dances, raffles, contests, group bookings and more. They are also responsible for our two biggest events of the season: Halloween I & II Weekends and the Tiny Tots Halloween Weekends. The individual applying for this position must have a fun attitude, excellent communication skills, strong interpersonal skills and enjoy working with children of all ages. Sharpen your experience in event planning as you help manage our activity themes. You will have the opportunity to coordinate the events, including booking, cost breakdown & supplies management, which will require organization & computer skills for the necessary spreadsheets & planning. You will also be one of the key people in the execution of the event, where you can hone your public relations & customer service skills that will allow the event to run smoothly. After the event, you will create a final analysis to determine the event's success & to make recommendations for improvement. 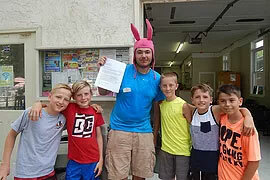 Looking for a creative and dynamic individual who is a team player to provide daily fun and activities for our campers. Responsibilities include planning, publicizing, organizing and leading programs. Computer knowledge preferred, and experience with arts and crafts a must! 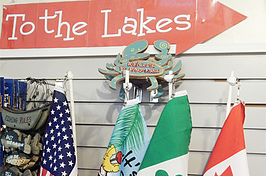 The Camp Store is a fully-stocked convenience store that provides our guests with all of their needs from camping and fishing supplies, to gifts and souvenirs, soda and snacks, to bread and milk. 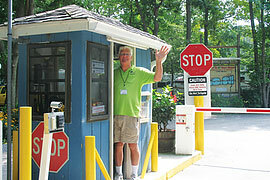 Employees of the Camp Store may handle retail transactions, rent beach tags and activity supplies and more. Interpersonal skills, money handling and proficient experience with computers are required. 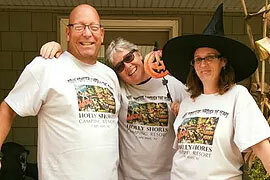 Holly Shores is always looking for aspiring performers to entertain campers in the Campground and at special events. We are specifically looking for musical groups, comics, magicians, special event dancers (Hula, German & Irish and other cultural dancers), DJs, barbershop groups, ventriloquists, clowns, and animal acts. Be involveld in resort marketing that entices customers to make vacation plans with us! Create artwork for our website updates and help redesign our email campaigns to attract more customers. Formulate and create banners, t-shirts and promotional materials to help publicize our themed weeks and events. This position deals directly with our camping customers. We have a computerized reservation system. 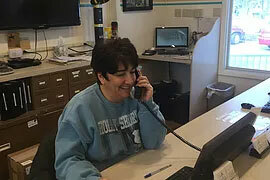 Our Front Desk is responsible for reserving campsites, cottage rentals and golf cart rentals, checking guests in and out, answering and directing telephone calls, distributing visitor information, renting equipment, handling transactions, reporting and solving any problems that may arise with our campers and more. The biggest responsibility of our Front Desk is to ensure overall customer satisfaction. Interpersonal skills, money handling and proficient experience with computers are required. Our Gate Security greets all of our arrivals with a warm SMILE. They also control the flow of incoming and outgoing traffic, check dates on car passes, handle Express check-in customers, distribute Holly Shores information, direct deliveries to the proper facilities and more. Strong interpersonal skills are required. They will also perform park patrols in our golf carts or company vehicles checking locations throughout our complexes. 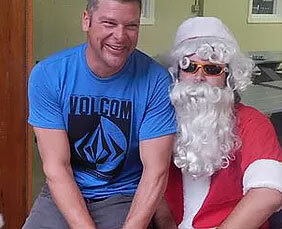 They are responsible for the security and safety of our guests. Assisting the Maintenance Department is the Housekeeping Department which keeps our vacation rentals, bath houses, rest rooms and the laundromat SPARKLING CLEAN. 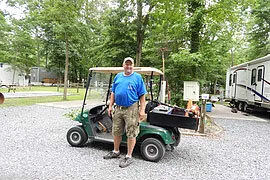 The Maintenance Department's responsibilities are very diverse and include removing trash and debris, beautifying our campground, relocating picnic tables and fire rings, cleaning sites, correcting plumbing and electrical problems, as well as maintaining all equipment and facilities. You will be helping with the daily running of the outside operations. If you have general handyman skills including carpentry, plumbing, electrical and landscaping then this may be the perfect fit! 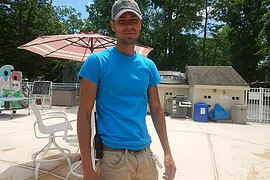 Pool Attendants are responsible for the safety of our guests while in the campground pool complex as well as maintaining and cleaning the pool complex. Strong swimming skills, interpersonal skills and CPR Certification are recommended. Retail and Buying Specialist - INTERNSHIP! Learn the process of running a 1200 square foot store. Be involved in setting up store layout and lelarn merchandise purchasing. Help to foster an atmosphere that engages our guests as well as satisfies wants and needs. Assist with computer entry of products, isnventory control and loss prevention. Use purchasing and sales data to generate reports. Learn the ins and outs of running hospitality office and sharpen your customer service skills. Interact with our guests and help to provide a memorable vacation experience. Learn how to use computer programs that process our guest reservations and how to accommodate special requests to individualize their stay with us. Gain knowledge about staffing, scheduling, training, problem solving and much more. Shift Supervisors oversee the operations of the office during their shifts. 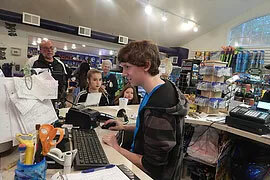 They have all the responsibilities of a reservation clerk plus management responsibilities like staff training, presenting staff development courses, providing excellent customer service, supervising refunds and cancellations, and opening/closing the office. They serve as role models and resources for other staff, and in the absence of the Reservations Manager, they can problem-solve and make time-sensitive business decisions. Interpersonal skills, problem solving skills, organization skills, excellent communication skills, money handling and intermediate experience with computers are required. 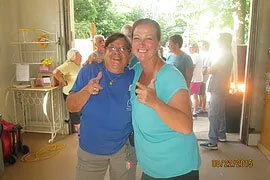 Holly Shores Campground is always looking to hire our campers as work campers for the campground. 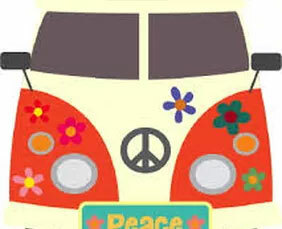 Work campers are adventurous couples and singles who enjoy a wonderful lifestyle that combines working and camping. This program continues through the summer ending between September 15th and the end of October. 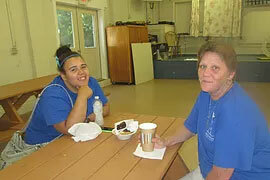 Work camper hours normally range from 20 to 40 hours per week depending upon the specific job. To apply to our Work Camper Program, please Contact Us or call at 609-886-4474. You may also email your resume to jobs@hollyshores.com.